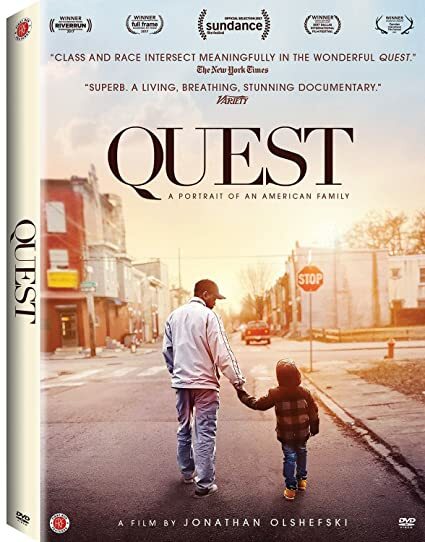 Quest - BUY THIS DVD! Beginning at the dawn of the Obama presidency, Christopher "Quest" Rainey, and his wife, Christine'a "Ma Quest" raise a family while nurturing a community of hip hop artists in their home music studio. It's a safe space where all are welcome, but this creative sanctuary can't always shield them from the strife that grips their neighborhood. THEN SEND IN A COMMENT ABOUT YOUR FAVORITE FUNIMATION TITLE (you may click on artwork above for a refresher) PLUS YOUR NAME AND ADDRESS TO contests@efilmcritic.com or WeLoveHBS@aol.com. (Just one e-mail please.) Put [b]"FOR FIRE, A VISION, WHAT?" in the subject line and cross your fingers. We will draw names and one of the prizes could be yours. Only 1 entry per household.